Road trip! Add excitement to travel with this sturdy, reusable classic travel game. 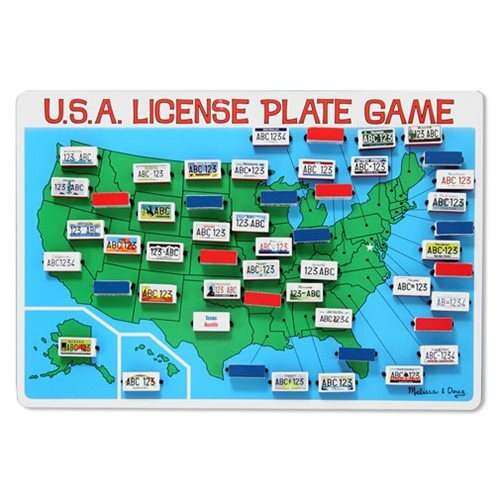 Learn the name and location of all fifty states, identify states by their license plate design or simply plot your trip by flipping the states along your route…this is truly fun on the go! No loose pieces to leave a trail! 1 or more players, Ages 8 and up.